Action: Put 1 ally card into play from your hand. 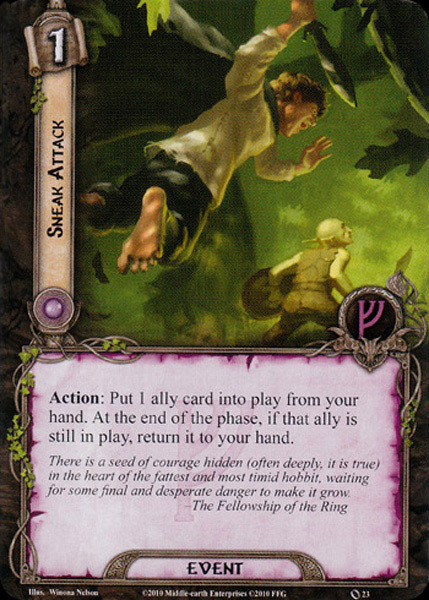 At the end of the phase, if that ally is still in play, return it to your hand. There is a seed of courage hidden (often deeply, it is true) in the heart of the fattest and most timid hobbit, waiting for some final and desperate danger to make it grow.